KMG can design, print and install at kinds of signage, we do Corflute signs, ACM Signs. All our signs are printed on 7-year long life vinyl to make sure the signs retain there colour. 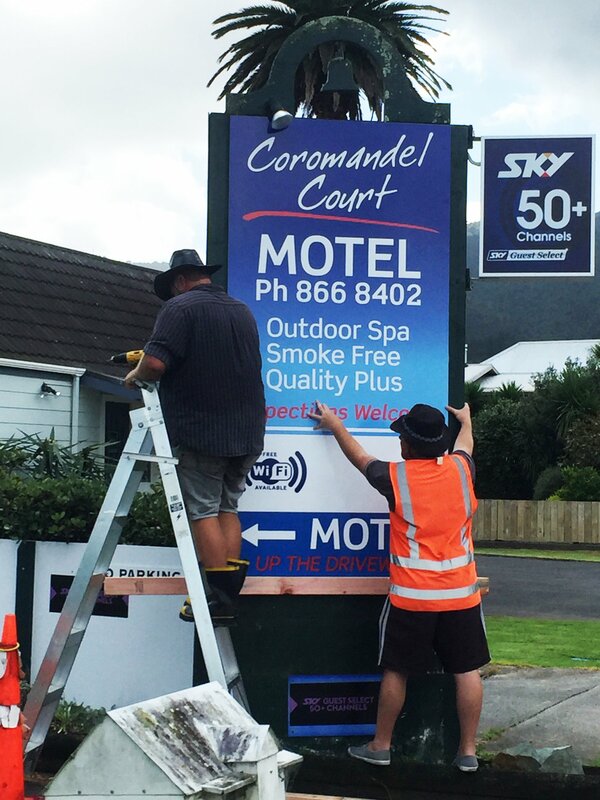 KMG designed, printed and installed a large 3 sided roadside sign for the Coromandel Court Motel. 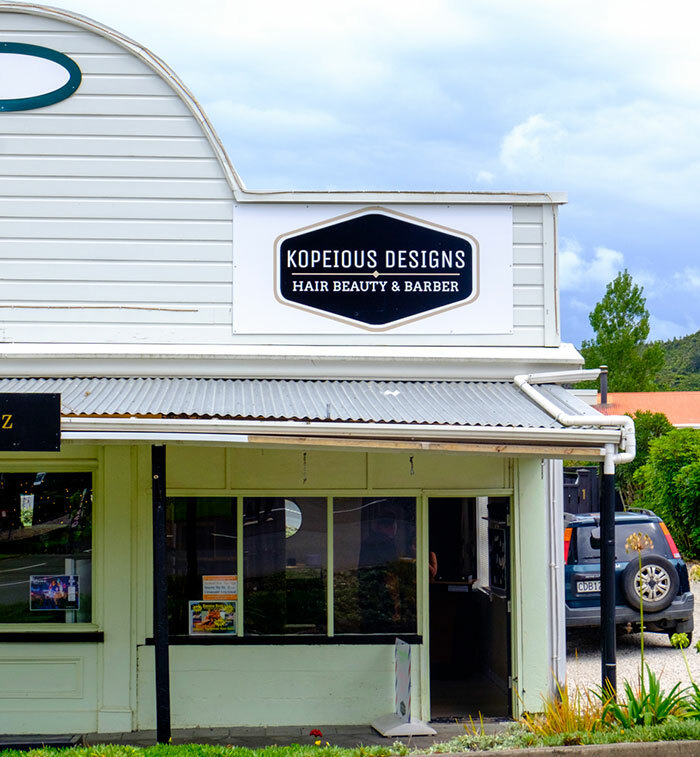 Storefront sign and footpath sign for a new Coromandel Hair Beauty and Barber shop. 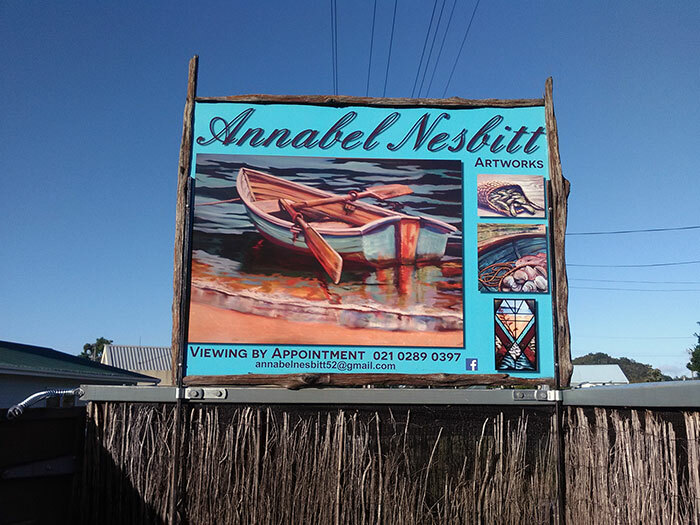 Standard ACM backing board with 7-year vinyl with graphics framed with sun-bleached Kauri driftwood frame picked up off Colville beach coromandel. 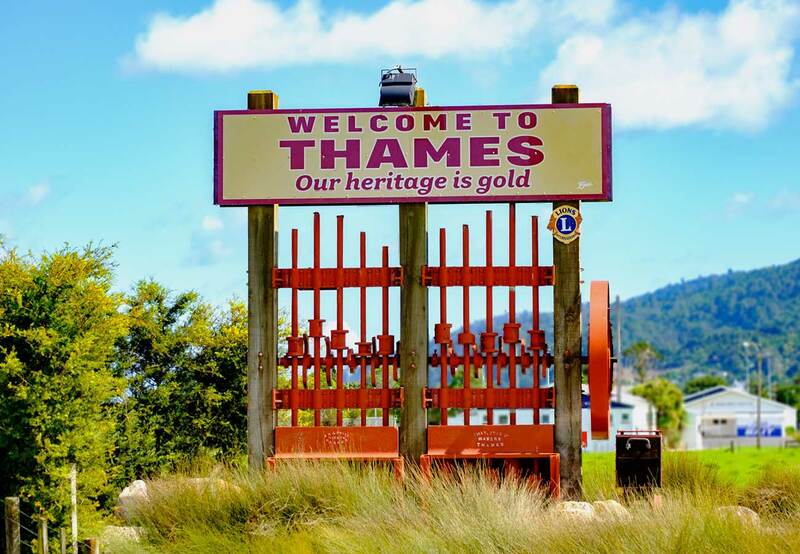 Built in conjunction with the Thames Lions club, this sign make for a impressive welcome to town of Thames.